xviii, 860 p. : ill., maps ; 24 cm. The young Dragon Rider Eragon must finally confront the evil king Galbatorix to free Alagaesia from his rule once and for all. 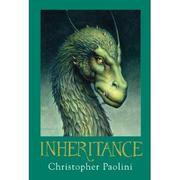 Inheritance, or, The vault of souls / Christopher Paolini. Paolini, Christopher. Inheritance ; bk. 4. 100 ME:PersonalName 1 $a Personal name Paolini, Christopher. 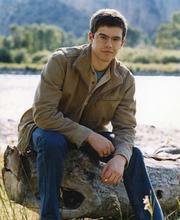 $c Statement of responsibility Christopher Paolini. 246 VaryingTitle 30 $a Title proper/short title Inheritance. 246 VaryingTitle 30 $a Title proper/short title Vault of souls. $v Vol. no./sequential designatn bk. four. 500 General Note $a General note Maps on endpapers. 505 ContentsNote 0 $a Formatted contents note In the beginning : a history of Eragon, Eldest, and Brisingr -- Into the breach -- Hammerfall -- Shadows on the horizon -- King Cat -- Aftermath -- Memories of the dead -- What is a man? -- The price of power -- Rudely into the light ... -- A cradle song -- No rest for the weary -- Dancing with swords -- No honor, no glory, only blisters in unfortunate places -- Mooneater -- Rumors and writing -- Aroughs -- Dras-Leona -- A toss of the bones -- My friend, my enemy -- A flour made of flame -- Dust and ashes -- Interregnum -- Thardsvergûndnzmal -- The way of knowing -- A heart-to-heart -- Discovery -- Decisions -- Under hill and stone -- To feed a god -- Infidels on the loose -- The tolling of the bell -- Black -Shrike-Thorn-Cave -- Hammer and helm -- And the walls fell ... -- By the banks of Lake Leona -- The word of a rider -- Conclave of kings -- A maze without end -- Fragments, half-seen and indistinct -- Questions unanswered -- Departure -- The torment of uncertainty -- The Hall of the Soothsayer -- On the wings of a dragon -- The sound of his voice, the touch of his hand -- Small rebellions -- A crown of ice and snow -- Burrow grubs -- Amid the ruins -- Snalglí for two -- The Rock of Kuthian -- And all the world a dream -- A question of character -- The vault of souls -- Lacuna, part the first -- Lacuna, part the second -- Return -- The city of sorrows -- War council -- A matter of duty -- Fire in the night -- Over the wall and into the maw -- The storm breaks -- That which does not kill ... -- The heart of the fray -- The name of all names -- Muscle against metal -- The gift of knowledge -- Death throes -- A sea of nettles -- Heir to the empire -- A fitting epitaph -- Pieces on a board -- Fírnen -- A man of conscience -- Blood price -- Promises, new and old -- Leave-taking -- Pronunciation guide and glossary. 520 Summary $a Summary, etc. note The young Dragon Rider Eragon must finally confront the evil king Galbatorix to free Alagaesia from his rule once and for all. 655 IT:Genre 7 $a Genre/form data or focus term Fantasy fiction, American. 800 SAE:PersonlName 1 $a Personal name Paolini, Christopher.